The Rito of the Zelda series are an intriguing and mysterious tribe that has had only a few, limited appearances throughout the franchise. The Rito debuted in The Wind Waker in 2002, and they made their second appearance in Breath of the Wild in 2017. The years separating these two appearances demonstrate how this bird-like race and its culture evolved over time, from a group of mail carriers to an integral part of the Hyrule Kingdom. The musical theme that accompanies this tribe in both games, and how it has changed over the years, especially tells about the Rito’s culture and their way of life. Today, I will be looking at the differences and similarities between the Dragon Roost Island theme found in The Wind Waker and the Rito Village theme found in Breath of the Wild to see exactly how the tribe has evolved over time. The Wind Waker is the first Zelda entry in my opinion to fully capture an orchestra-like sound in its soundtrack, carrying various moods and feelings through its music. One piece that stuck out to me was definitely “Dragon Roost Island,” with its upbeat melody and carefree tone. The tune immediately causes the player to forget the dark events Link experienced in the Forbidden Fortress and puts the player in a better mood. And as we quickly find out, the song is also the player’s first introduction to the Rito’s homeland and culture. The tune itself is light and breezy with its flutes and guitar work. This music fits in perfectly with what the player would expect from a race of bird people who soar through the air and travel across the vast Great Sea. The bright colors of the island also feed into the mood of the music, as the environment takes on an inviting atmosphere. It seems as though the Rito, as shown by their island home, are rather carefree and able to just go along with the flow of things, just as they move along with the gusts of the wind. Based on what we learn of the Rito in The Wind Waker, it is quite interesting to see how the race and their music change in Breath of the Wild, and to see how the tribe has evolved socially, culturally, and even physically. 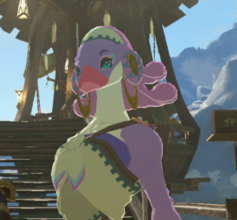 Rather than being more of a cross between a hawk and an albatross, the Rito found in Breath of the Wild take on an appearance closer to parrots. And alongside a change to their appearance, the music in Rito Village also changes to suit the race’s evolution over time. 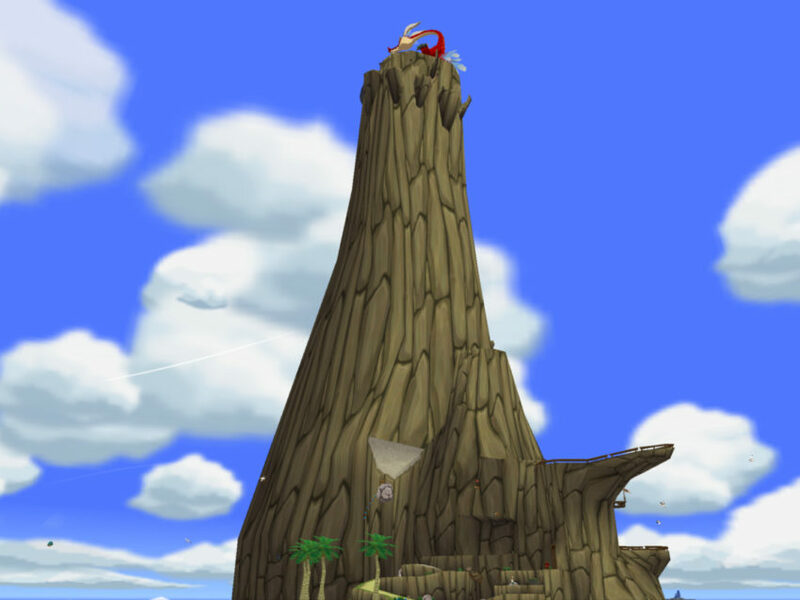 The original tune of “Dragon Roost Island” is retained in sections of “Rito Village”, but with very new instrumentation. One can still hear flute and guitar in the music, but the tune becomes more somber as the guitar is now pitched higher and flute now softer. This change brings about thoughts to the player not of a mountainous, colorful island, but of a vast, mountainous region surrounded by plains. The Rito’s home and their influence have grown, and so their theme tune has grown more emotionally heavy. The song in Breath of the Wild still does make the Rito seem mostly carefree, although it heightens its emotion with its slow, somber start. 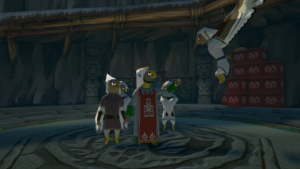 The immediate callback to “Dragon Roost Island” informs the player that these are indeed descendants in some way to the Rito we saw back in The Wind Waker, even though these Rito could be from a different timeline. The difference in music also reveals how the Rito are more established as a race and as a culture, as we find out that the Rito are now more musically attuned, more socially diverse, and more involved in the affairs of the kingdom overall. They are now more than mere postmasters. In this way, the theme tune seems more prideful in terms of mood, at least in what the Day version of the song conveys. The Night version of the song tones down on the guitar and flute work in favor of a piano calmly playing the familiar “Dragon Roost Island” melody, which helps me to imagine the Rito settling into the night by telling stories about their ancestors. The Rito from Breath of the Wild are calm, unless there’s a problem that threatens the village. 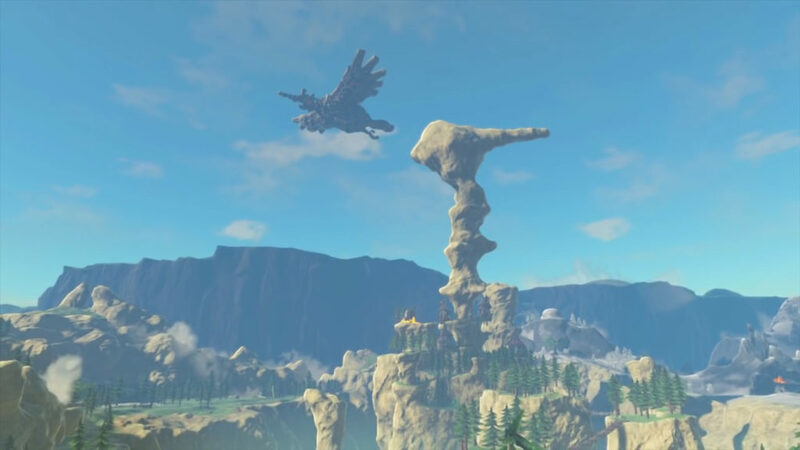 Thus, their song in Breath of the Wild contains within it a sense of honor, which is reflected in the characters who are important to Link’s quest. This sense of honor or tradition is missing from “Dragon Roost Island”, though this could be because their purpose or lineage is not quite as developed or as distinctly separated from the Zora they evolved from. 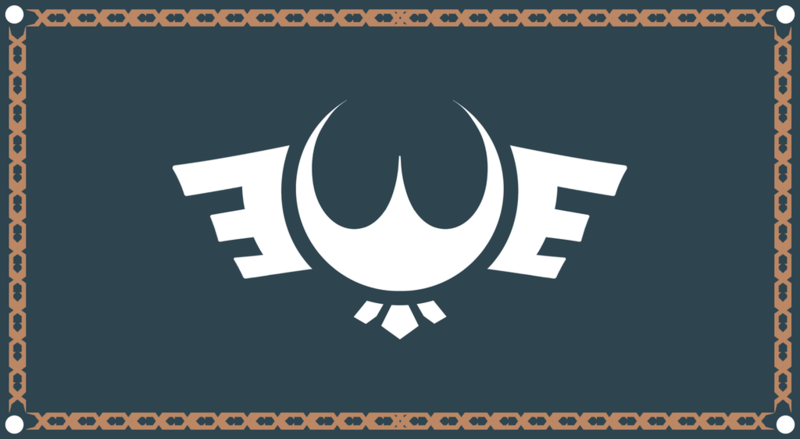 “Rito Village” as heard in Breath of the Wild shows how the tribe has fully realized their identity and how they have grown as an influential presence in Hyrule. The musical similarities and differences in “Dragon Roost Island” and “Rito Village” are interesting and thought-provoking, as they can offer insight into what the player is meant to feel about the tribes and characters they encounter throughout the Zelda series. What do you think music can accomplish in Zelda? How do you interpret the themes heard in both games? Let us know down in the comments!